On November 1st specialist doctors in the UK will be able to prescribe medical cannabis for the first time. This decision comes years after similar policy changes in the majority of US states and in Canada, as well as many European Countries. As a result, patients have had to endure a long and agonising wait as the UK played policy catch-up on the issue. The move to make medical cannabis available on prescription follows a prolonged period of mounting pressure on the government. Certainly, the highly publicised plight of Alfie Dingley and Billy Caldwell would have played into the government’s decision, as well as facilitating a shift in public opinion. The decision has not only received a large amount of interest because it will enable tens of thousands of patients suffering conditions such as MS to chemotherapy related nausea, but because it is a decision that stands in stark contrast to the entrenched direction of British drug policy. That direction being firmly fixed on prohibitionist policies, with the controversial Psychoactive Substance Act being brought into force in 2016 – a law which essentially bans any substance which alters a persons mental functioning, with exceptions for alcohol, tobacco and caffeine. 2001: Labour government announce their decision to reclassify cannabis from Class B to Class C and instructs the Home Affairs Select Committee to undertake consultations on the matter. 2004: Following the consultation process the Labour government finalise the decision to reclassify cannabis as a Class C drug, in doing so it reduces the maximum penalty for possession of the drug to 2 years in prison. 2005: Little over a year after the reclassification came into effect, Tony Blair commits to reviewing the reclassification of cannabis during his 2005 general election campaign. 2006: Following a review, Home Secretary Charles Clarke announces cannabis is to stay a Class C drug as per advice from the Advisory Council on the Misuse of Drugs. 2007: Labour, now under the leadership of Gordon Brown, announce yet another review into the classification of cannabis. 2008: Home Secretary Jacqui Smith announces that cannabis will be reclassified as a Class B drug, increasing the maximum penalty for possession to 5 year in prison. 2009: Cannabis officially reclassified as a Class B drug. 2011: Home Office reject calls from Global Commission on Drug Policy for prohibition to be overhauled. 2012: Prime Minister David Cameron and Deputy PM Nick Clegg publicly clash over the latter’s call for drug laws to be reformed. 2016: Highly contentious Psychoactive Substance Act 2016 comes into force, reinforcing the prohibitionist trend in British drug policy. February, 2018: Conservative government refuse request for medical cannabis licence for Alfie Dingley, a six-year-old boy whose rare form of epilepsy was improved after using cannabis oil. May, 2018: Home Office issue ultimatum to the GP of Billy Caldwell (a twelve-year-old boy with a similar condition to Alfie Dingley) to stop his prescription of medical cannabis or lose his medical licence. In the following weeks his mother has cannabis oil obtained from Canada confiscated at Heathrow airport. June, 2018: Following public outcry both cases are granted special licences for the use of medical cannabis. Home Secretary Sajid Javid subsequently announces review into medical use of cannabis. October, 2018: Home Office announces specialist consultants will be able to prescribe medical cannabis from November 1st, a full 22 years after Californian’s approved Proposition 215 which legalised medical cannabis in the US state. What does the future hold for cannabis in the UK? While medical cannabis will be available from November 2018, the legalisation of the recreational use of cannabis doesn’t appear to be on the horizon just yet. 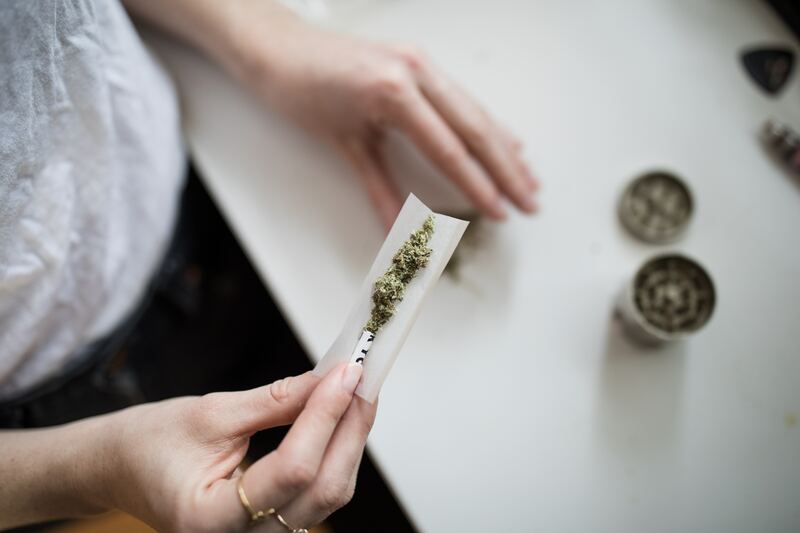 Despite calls for serious drug policy reform from senior politicians, including William Hague, the government has remained firm in it’s opposition to the legalisation of cannabis. However, the Royal College of Psychiatrists announced at the beginning of October that they will undertake a review of their current position on the legalisation of cannabis. Significantly, if the college were to adjust their position on legalisation it could leave the government treading water as it has leaned heavily on the organisation’s research when defending the continued prohibition of the drug in the past. While the Liberal Democrats included a pledge to legalise cannabis in their 2017 election manifesto, support for legalising cannabis is also growing within Labour and the Conservative party with both parties’ playing host to pro-legalisation panel events on the side-lines of their 2018 conferences. Although Sajid Javid’s stern opposition to full legalisation of cannabis may have disappointed many liberal-minded Brits. There does appear to be a growing cross-party consensus that prohibition has failed dramatically in it’s goal of eradicating drug use and there are positive signs that parties are readying policy ideas for a post-prohibitionist Britain.